If you’re searching for great gift ideas for a crochet lover you are going to love this ultimate gift guide! 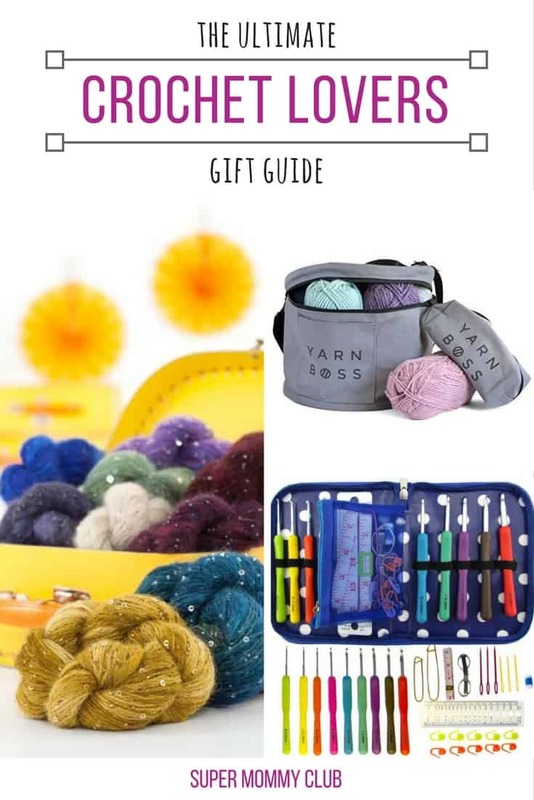 We’ve pulled together some of the best crochet gifts we could find, from crochet hooks and books to fabulous crochet yarn and courses so you are sure to find something on the list that they will love! Oh my. This alpaca yarn is absolutely beautiful and with nine colours to choose from you are sure to find one that your mom will just love! With all those beads and sequins this is the perfect gift for crocheters who can’t stop crocheting wraps, shawls and scarves! 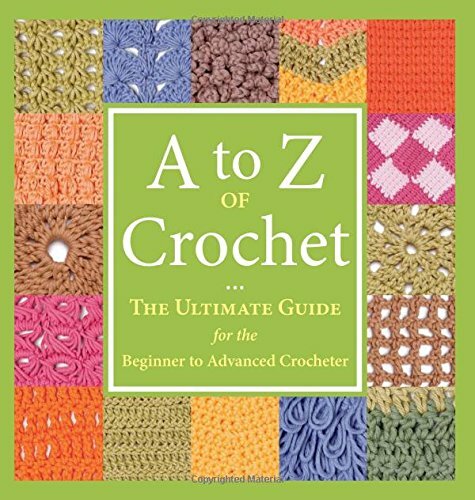 Whether your mom, sister or friend is new to crochet or has been crocheting for years this book is a guide they will refer to time and time again. It’s packed full of information and directions from how to fix a crochet mistake through to crocheting broomstick lace and how to make a double treble crochet. 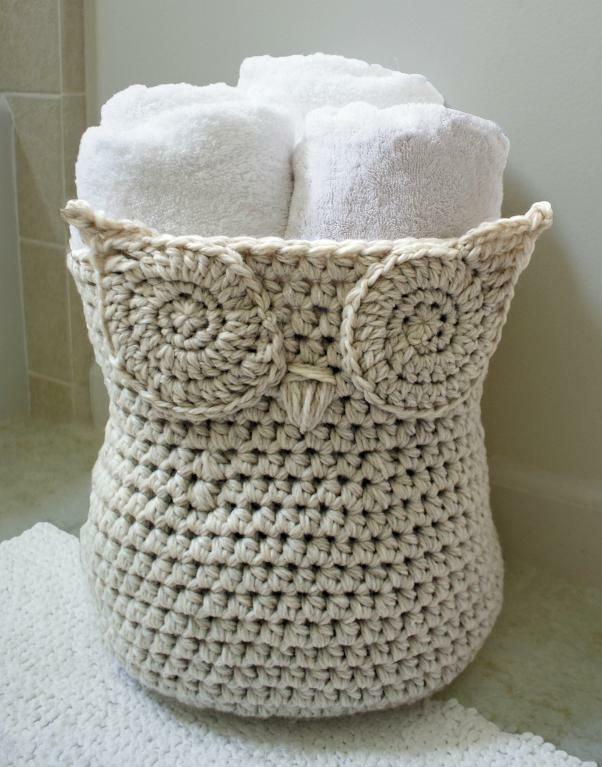 Moms always need extra storage, whether it’s for keeping the towels tidy in the bathroom or for keeping the kid’s toys under control and what better way to do it than with this gorgeous owl basket! It’s a truly practical crochet gift for your mom! This kit contains everything mom needs to crochet the owl basket including the yarn (you chose the colour) a size J crochet hook and one large eyed blunt needle. The instructions are easy to follow so even if mom is a beginner crocheter this will be a great gift. 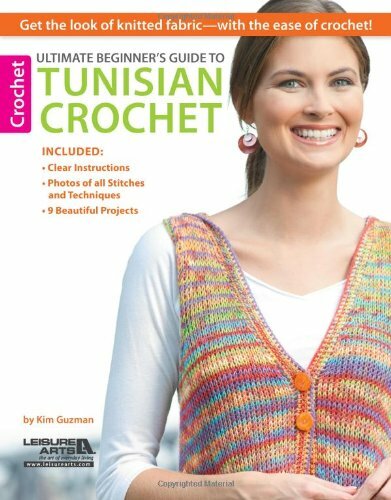 If your mom or friend is looking for something new and she loves to crochet but likes the look and feel of knitted items why not introduce her to Tunisian crochet? This book is a great starting point and includes instructions for nine different projects including a drop stitch cowl and a stockinette scarf and hat. 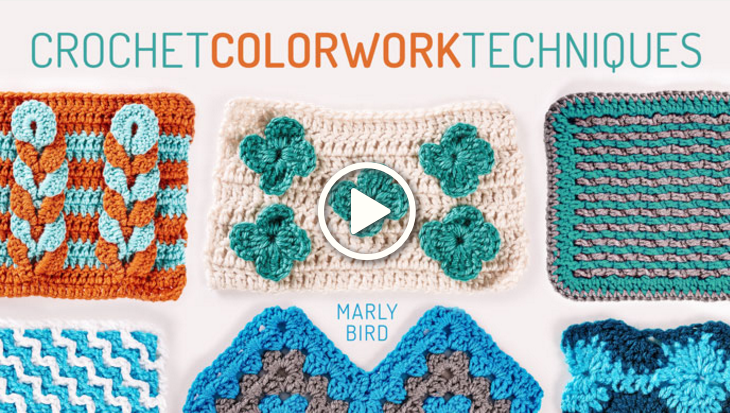 Your crochet lover will have a whole heap of fun learning how to create more complex looks with colour work thanks to this online course. She’ll learn how to make fun 3-D flowers, beautiful braided stripes and how to keep all her rows and edges tidy even when working with multiple yarns. 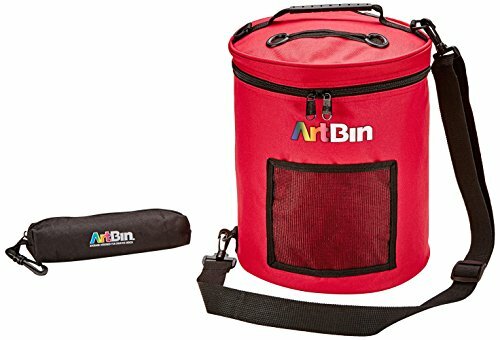 Help her keep all her yarns neat and tidy with raspberry storage tote. She can store 7-8 skeins of yarn inside and there are four holes in the lid so that she can work with four different colours at once and have easy access to the yarn as she is crocheting. It also includes a handy pouch which is perfect for storing all of mom’s crochet hooks and embroidery needles. 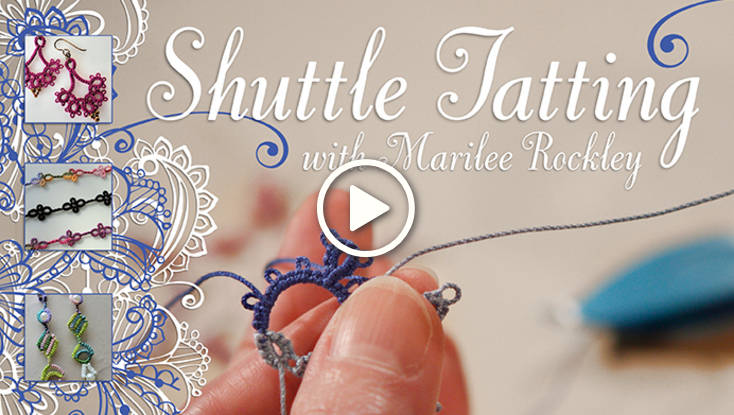 Shuttle Tatting is a fun, inexpensive and portable craft that will enable your friend or mom to make all kinds of fabulous projects from lacy jewellery to tatted embellishments for her quilts or even paper crafts. This online course is a wonderful gift idea and will show your mom how to master shuttle tatting even if she’s never even heard of it before yet alone had a try herself. She’ll learn how to make a classic edge bracelet, a rhapsody necklace and a parfait snowflake and from there her creations are limited only by her imagination. 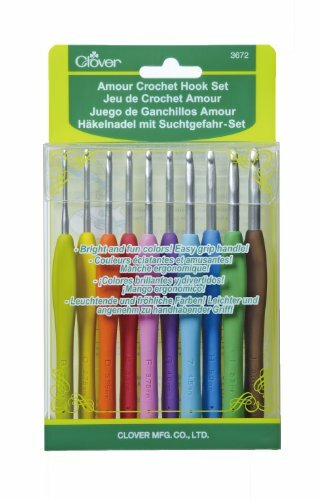 If your crochet lover suffers with arthritis this set of crochet hooks will make the perfect gift for her. There are nine different coloured crochet hooks from size B (2mm) through to J (6mm) and the comfortable grips will help her crochet for longer without any pain. 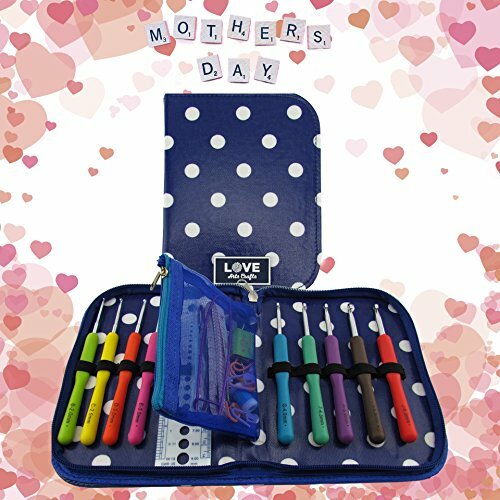 There are some other useful crochet tools and accessories in this set and they come in a case to keep everything neat and tidy. If you’re struggling to think of a gift to buy for the woman who has everything the trick is to think small. Stocking stuffers are brilliant because you can put together a number of inexpensive items and end up with the perfectly thoughtful gift she’ll love to receive! Crochet is the perfect activity to keep you occupied while travelling, but it’s not always practical to carry a pair of scissors. 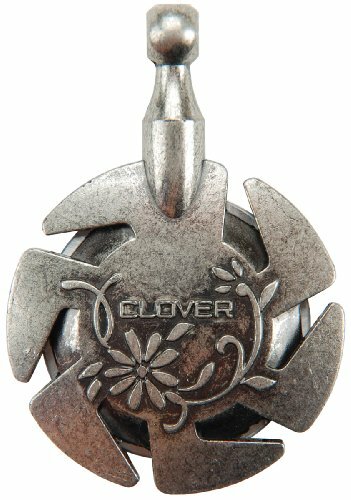 This beautiful pendant doubles up as a yarn cutter so its the perfect solution, especially if the woman you are buying it for loves to crochet while flying. Note there is no chain included so you will need to buy one separately. Ring Markers are the perfect stocking stuffer because you can never have too many of them! This pack includes 20 markers which attach to the actual stitch making it easy to keep track of a pattern. 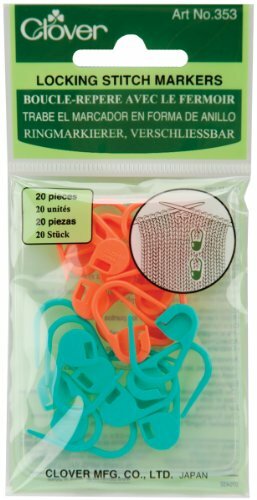 They are a great price at just less than $5 and unlike cheaper stitch markers they don’t break in half when you’re trying to use them! 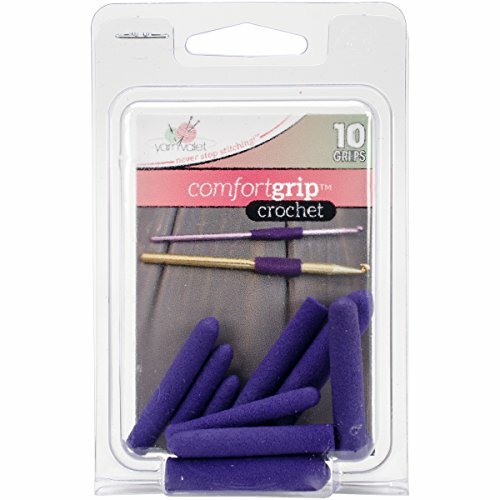 Crocheting can be hard on the fingers, especially as you get older, so these comfort grips are an ideal gift. There’s ten in the packet so you don’t have to keep sliding them on and off if you want to switch hooks. Speaking of switching hooks, it can be really hard to keep track of crochet hook sizes, especially if the marker on them is too small to see. With this clever little tool you just slide the hook in and it tells you nice and clearly what size it is. When it comes to crochet hooks you just can’t do better than a set of Armour hooks from Clover. They slide through stitches like a knife through hot butter and are a relief for arthritic hands too. If your wife, mother or grandma is sticking by her Susan Bates hooks even though they make her hands ache treat her to a set of these Armour hooks. Seriously they will be the best Christmas gift she could ever receive! A crochet fan can never have too much yarn to play with and a ball of Freshly Pressed makes a delightful addition to a stocking. 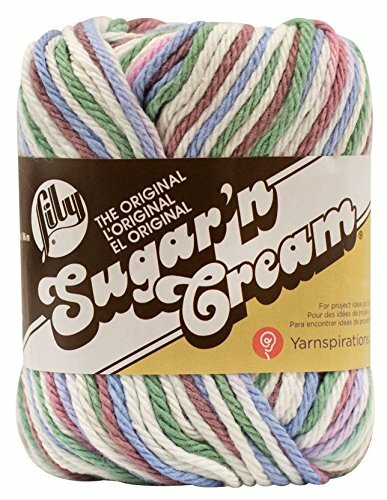 This cotton yarn is super absorbent and perfect for crocheting bath flannels or dish cloths. 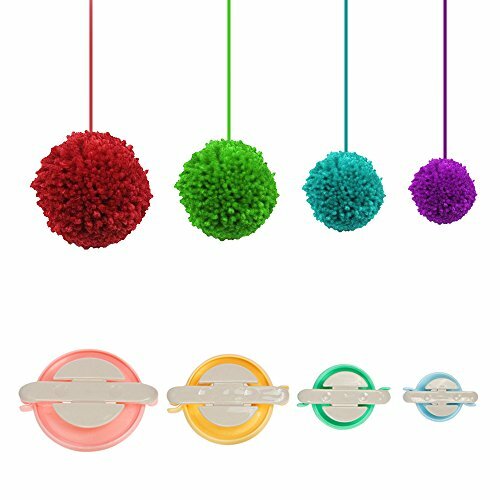 A pompom maker is a fabulous thing to find in a stocking if you love crocheting hats with pompoms on them! 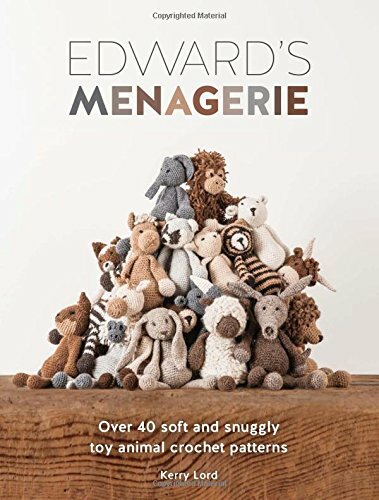 This is the perfect book for a mom or grandma who has a child in her life who loves stuffed animals and toys. Inside are 40 of the most adorable animals you could ever hope to crochet. The patterns were designed by someone who had never crocheted before in her life so they’re great for beginners as well as advanced crocheters. 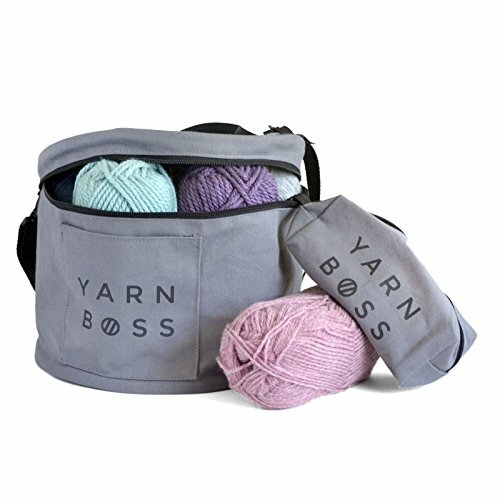 Let’s finish up our collection of stocking stuffers for women who crochet with this gorgeous yarn storage bag. In fact if I were you I’d skip the stocking and fill this with all the yarns and notions we just talked about and then gift wrap it! Crochet Gifts: 5 Crochet Sets for the Disney Fan! Do you know someone who loves to crochet and is also a fan of all things Disney? 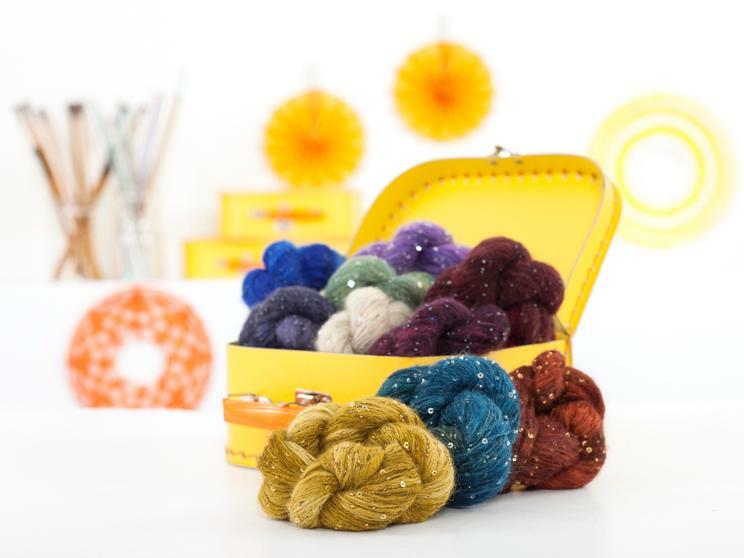 We found some gorgeous sets that will make perfect crochet gifts for a birthday or for Christmas. Let’s start with this kit that includes everything your loved one needs to crochet a Cinderella and Ariel amigurumi princess! Inside the box there’s a 76 page instruction book with full colour, detailed patterns to follow. There’s also the yarn, embroidery floss, plastic safety eyes and fibrefill needed to create Cinderella and Arial. The kit also includes an embroidery needle and a size 3.5 (US E/4) crochet hook. 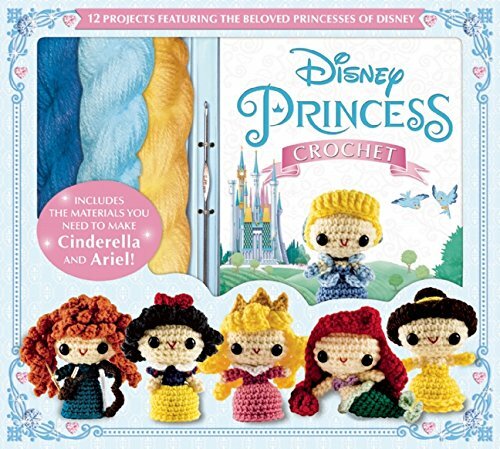 The pattern book also includes instructions for how to crochet the Fairy Godmother, Snow White, Aurora, Belle, Jasmine, Pocahontas, Mulan, Tiana, Rapunzel and Merida. The yarn and materials for these Disney princesses needs to be purchases separately. 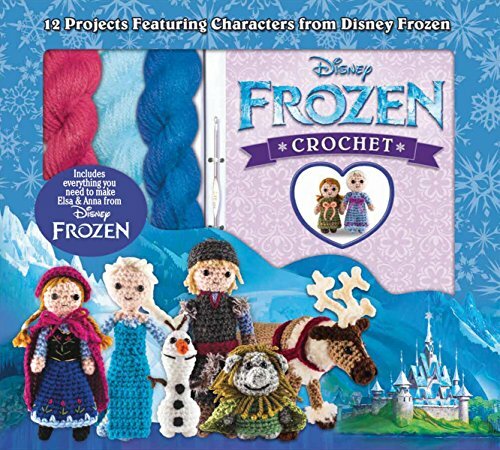 Let’s stick with the Disney princesses for a minute and take a look at this kit which includes everything needed to crochet a pair of Anna and Elsa dolls. Inside the box there’s a full coloured pattern book which includes not only the crochet directions for each doll but also which embroidery stitches to use on the dolls and their clothes. All the yarn needed to crochet Anna and Elsa can be found in the box as well as the embroidery thread, tulle for the dress, plastic safety eyes and the fibrefill. The book also includes detailed directions for creating the rest of the Frozen cast including: Kristoff, Prince Hans, Oaken, Young Elsa, Young Anna, Young Kristoff, Sven, Grand Pabbie, Olaf, and Marshmallow. The materials for these characters needs to be purchased separately. If you’re looking for crochet gifts for someone who prefers Mickey and Minnie over the princesses then this is the gift set for them! Inside the box is the fully coloured book that includes very detailed instructions on how to create the beloved Mickey and Minnie as well as the yarn, embroidery floss, plastic eyes and fibrefill to put them together. There’s a tapestry needle and size 4 (UD G/6) crochet hook in the box too. 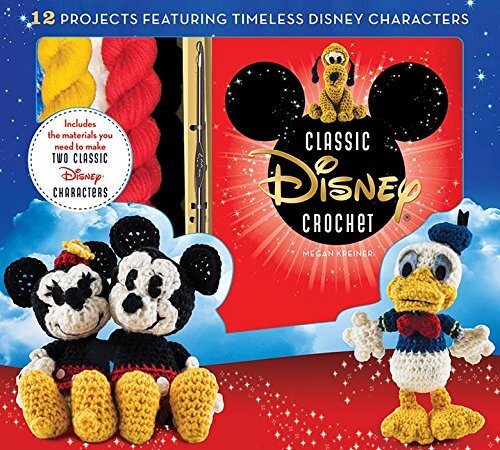 The book also includes directions on how to crochet Donald Duck, Daisy Duck, Goofy, Pluto, Chip ‘n’ Dale, Dumbo, Bambi, Lay, Pinocchio, and Jiminy Cricket. The materials to create these characters needs to be purchased separately. Since disney now ones the Star Wars crochet it seemed only proper to include this set in our collection of crochet gifts today! As before there’s a colourful book filled with detailed instructions and everything needed to create a Yoda doll as well as a Storm trooper. In the box alongside the book, a size 3.50 (US E/4) crochet hook and an embroidery needle is the yarn, embroidery floss, plastic eyes and fibrefill. Once Yoda and the Storm trooper have been completed additional materials can be purchased so that the rest of the Star Wars cast can be created. 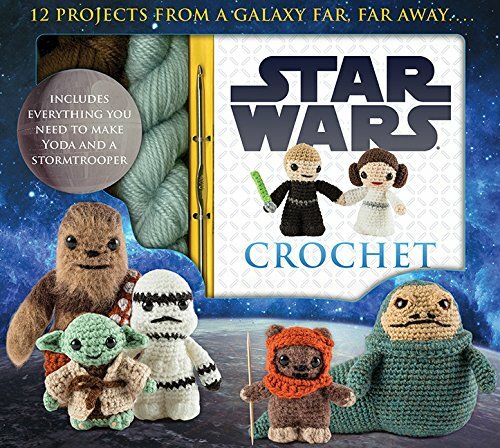 The book includes instructions to crochet C-3PO, Princess Leia, Wicket the Ewok, Luke Skywalker, R2-D2, Han Solo, Chewbacca, Darth Vader, Boba Fett, and Jabba the Hutt. 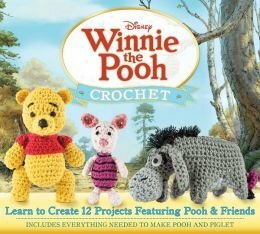 Fans of Winnie the Pooh will love this crochet set which includes everything needed to create the Pooh and Piglet dolls. Inside the box, alongside the full colour instructions, are the yarn, floss, safety eyes and fibrefill. There is also an embroidery needle and a size 4 (US G/6) crochet hook. Once Pooh and Piglet have been completed additional materials can be purchased so that the other friends can be created. The instruction book contains directions for a Hunny Pot, Eeyore, Rabbit, Tigger, Kanga, Roo, Owl, Gopher, Little Black Rain Cloud Set, and Christopher Robin.